Hungry and Homeless: "I Haven't Had Anything to Eat Today"
June is National Hunger Awareness Month and all too often young people experiencing homelessness know what it feels like to be hungry on a daily basis. For some of these young people, HOPE 4 Youth is the only place that their nutritional needs are being met. Sadly, we have heard the phrase "I haven't had anything to eat today" way too many times. 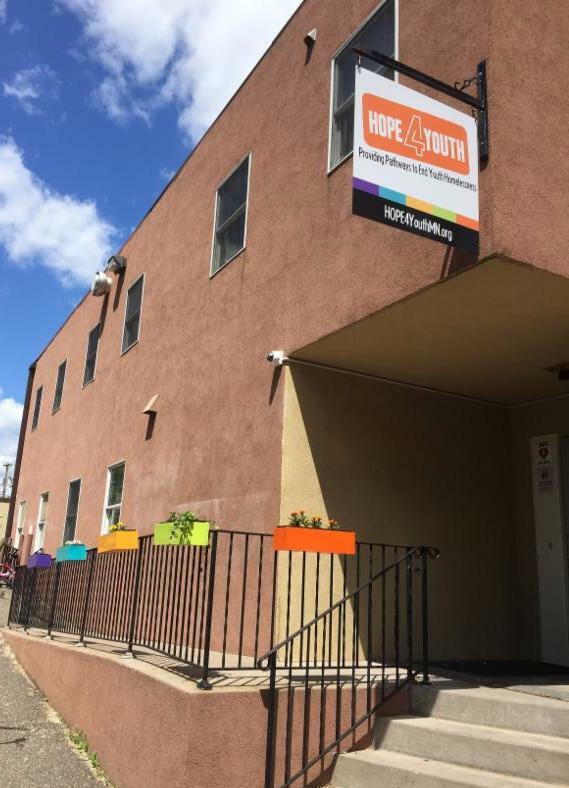 There are several options at HOPE 4 Youth - food pantry, youth refrigerator, food partnerships and hot, nutritious meals - for the young people we serve to meet their nutritional needs so when our doors close they have had something to eat that day. Our food pantry is quite different from a traditional food shelf. It is more of an emergency food source than a place to shop for groceries. We generally ask for donations of food items that do not require kitchen facilities for preparation. “Grab-and-go” is the phrase we like to use. It is not easy to find processed foods that offer the nutritional bang-for-the-buck we'd prefer, but we try. Items like fruit cups; instant oatmeal; granola bars; and canned tuna, soups, and pastas (preferably in pop-top containers) are some examples. Ramen noodles and Pop-Tarts are just about everyone’s first choices. This is why our new partnership with ACBC is absolutely fabulous. Our youth may “shop” exclusively at ACBC on the first Saturday of every month, where they have access to fresh fruits and vegetables, dairy products, meats, bakery items, etc. We do keep a refrigerator stocked with healthier choices for those who want a snack upon arrival at the Drop-In Center. Everything must be single-serve portions, so we offer prepackaged salads and raw veggies, yogurt cups, individual string cheese and slices, lunch meats, apples, oranges, bananas, milk, and juice. We also have cereal, crackers, peanut butter and jelly. In addition, we have a fantastic hot-meal program. Meal teams bring in a hot, nutritious meal every Monday-Friday. Planning a meal for 30-40 people from many different backgrounds can be quite a challenge in itself—especially while keeping in mind that we are mainly serving teens and young adults. The teams always try to incorporate healthy items in their meal and try to encourage the youth to try new things. 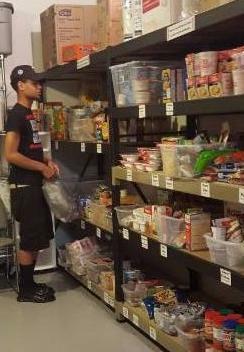 At the end of the day, the young people are able to leave the Drop-In Center with a full stomachand nutritious food items so that they don't have to say "I haven't had anything to eat today." Mark your calendar for Friday, September 30, and plan to join HOPE 4 Youth for a unique community event to raise awareness and funds to impact youth homelessness. Many homeless youth programs have held events where participants sleep outside in cardboard boxes to raise money towards a specific goal for that program. HOPE 4 Youth wants to do it differently while still having participants experience the cold, dark of night and what that feels like for our young homeless friends. 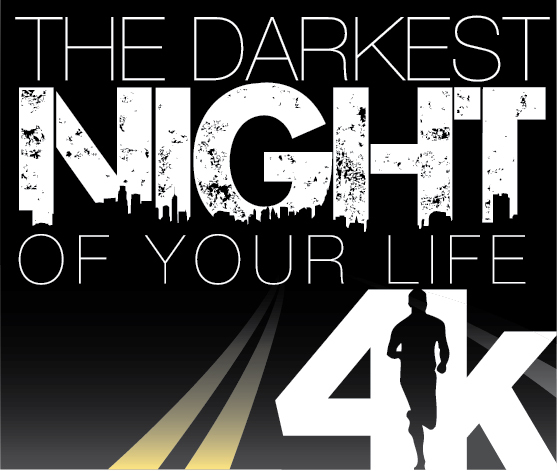 Since there are 4,000 homeless youth on any given night in the State of Minnesota, we decided that a 4K would be most fitting. Cost: Early registration fee $30 (includes long-sleeve shirt). On-site registration fee $40 (long-sleeve shirt not guaranteed). Each participant is asked to raise pledges (beyond the $30 registration fee) from their family, friends and co-workers. We will make it easy by giving you the tools you need to raise as much as possible. There will be prizes for the top individual and team fundraisers. Registration details will be announced soon. When the Drop-In Center doors close every night, many of the youth we serve do not have a safe place to lay their head. We can no longer overlook this growing problem and, as many of you know, have boldly stepped forward to provide a long-term solution to it - HOPE Place Transitional Housing. HOPE Place construction is underway and we plan to bring the first 12 youth "home" by Thanksgiving. We have a long road ahead of us, but can't travel this road without your support and commitment. Please consider helping us with this project - read more about the project in our special newsletter, "HOPE Place: Bringing 12 Youth Home for Thanksgiving" ( click here). Client Track is here! We have successfully developed a new client data base system in partnership with MACC Common Wealth. Over the last five months we have worked tirelessly to create a program that captures the amazing work that happens at the Drop-In Center. We can now see the services the youth are receiving as well as track their progress on their goals. We will also use the system for HOPE Place to coordinate services that best meet the needs of the youth. We are looking forward to sharing our work as well as measuring the changing needs of this community. We are excited to announce our new partnership with The Work Force Center. Jenilee Drilling, Senior Vocational Counselor, will be in the Drop-In Center every week to work one-on-one with youth or meet with groups focused on employment and education. In May, she will be conducting a workshop on mock interviews to prepare our clients for their future job interviews. The Doctor is in! We are fortunate to have Dr. Deborah DeMarais at the Drop-In Center; a volunteer who has been with us since May of 2014. In addition to mentoring, she has started a new series called “Ask Dr. Deb.” This allows the youth to ask her medical advice and get the help and referrals they need. Our entire Needs List for the youth can be found on the HOPE 4 Youth website. Running a nonprofit is similar to running a business in many ways including the needs our staff have to do their jobs. Recently we started a program called Adopt-a-Month, whereby we add our office needs to an Amazon Wish List and donors purchase the items from the comfort of their home. Items are shipped directly to HOPE 4 Youth. Last month, one person purchased the entire list - this online wish list enables people to make a donation that pays for one or more items listed, including shipping and handling. To access the June Wish List, go to www.smile.amazon.com, (enter HOPE 4 Youth as the organization you support), then click on the top right where it says “LISTS”, then “FIND A LIST” and type in HOPE 4 Youth. Your chance to easily support HOPE 4 Youth should have come in your mailbox last week - our Spring Appeal Letter! We will continue to be busy throughout the summer months at the Drop-In Center helping 30-40 youth meet their basic needs on a daily basis. 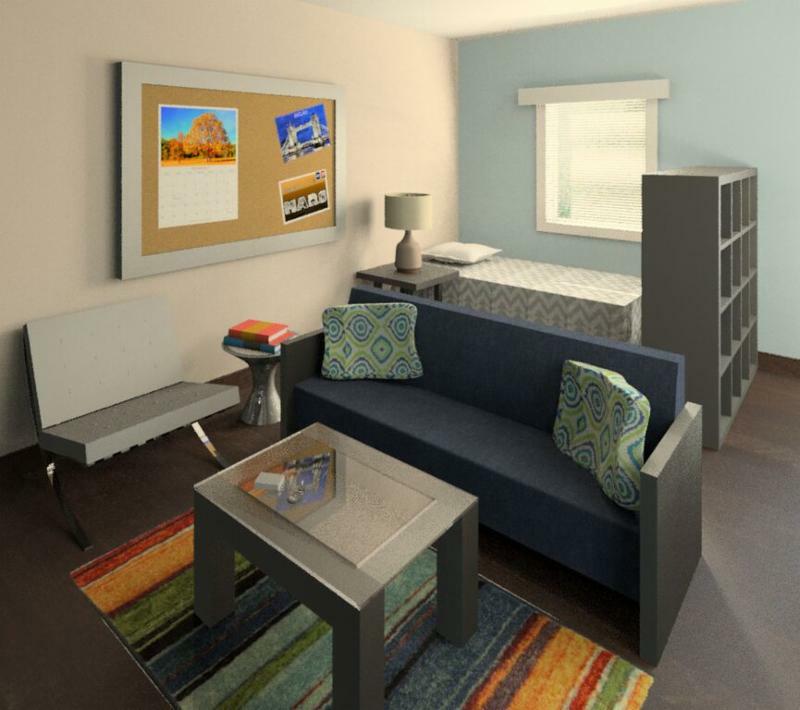 PLUS, we are building HOPE Place, the area’s first transitional housing program for homeless youth. HOPE Place will allow 12 youth a place to call "home" while they work to leave their title of homelessness in their past. You can make a difference in the lives of youth experiencing homelessness by including HOPE 4 Youth in your charitable giving plans. Please consider becoming a GEM and sign-up to Give Every Month. We make it easy and appreciate anything you can do to help. To make an online gift, go to www.hope4youthmn.org and click on "How To Help" and then "Donate Funds." The HOPE 4 Youth team is growing! 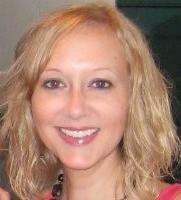 Please welcome Heather Rickbeil, our new Donor Development Manager. 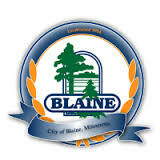 This position was created to expand efforts in the area of grant writing, event coordination and donor recognition. You may recognize Heather as she was an intern at HOPE 4 Youth's Drop-In Center for the past four months. 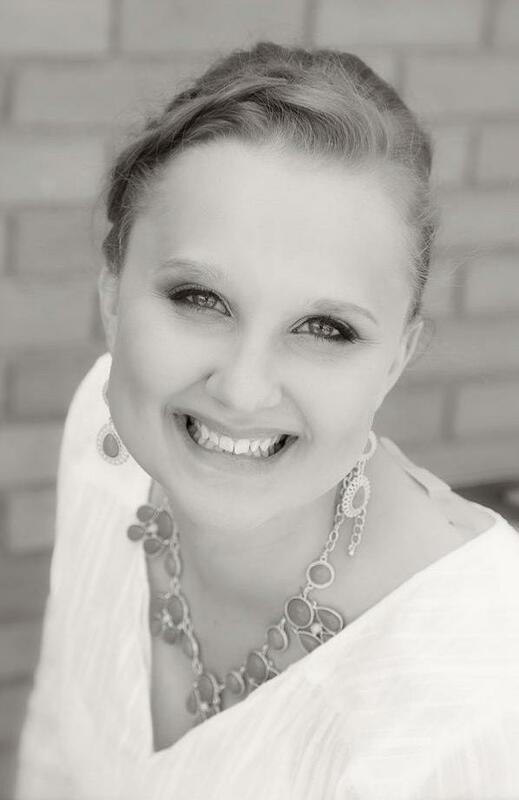 After completing her internship, Heather graduated from Hamline University with a degree in Sociology, and a double minor in Social Justice and Nonprofit Management. Heather was the perfect fit for the move to full-time employment as HOPE 4 Youth is a place she already cares deeply about. We are thrilled that she has joined our team! Without our dedicated volunteers we would not be able to continue the work that we do. 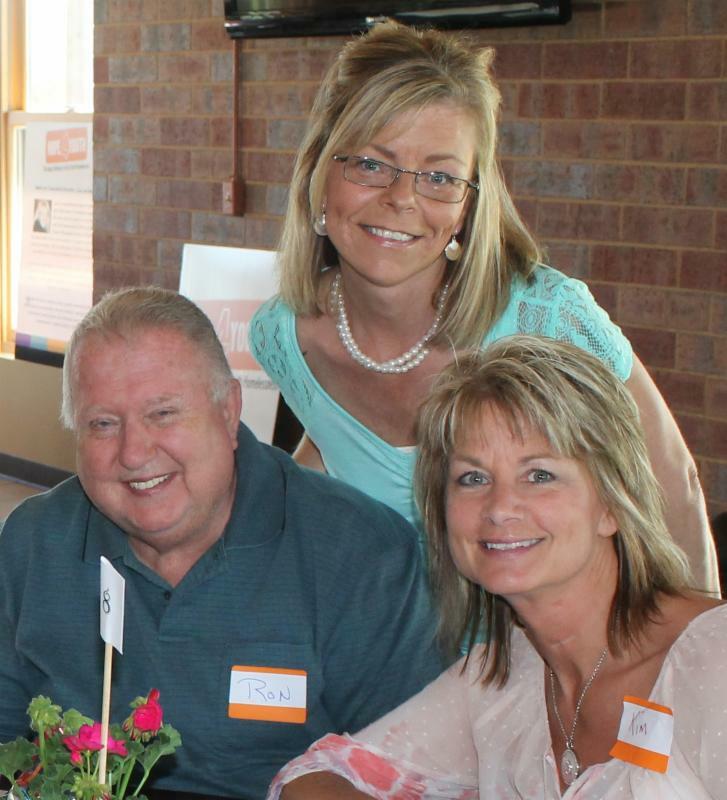 Every year, we hold a Volunteer Appreciation Event to thank them for all their hard-work. 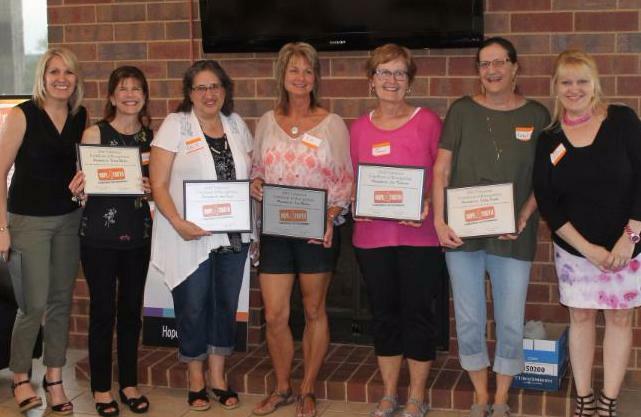 This year’s event was held on May 6 at The Links and featured a fantastic dinner, scrumptious cupcakes, prizes and volunteer recognition awards – including the Hanford Excellence Award. 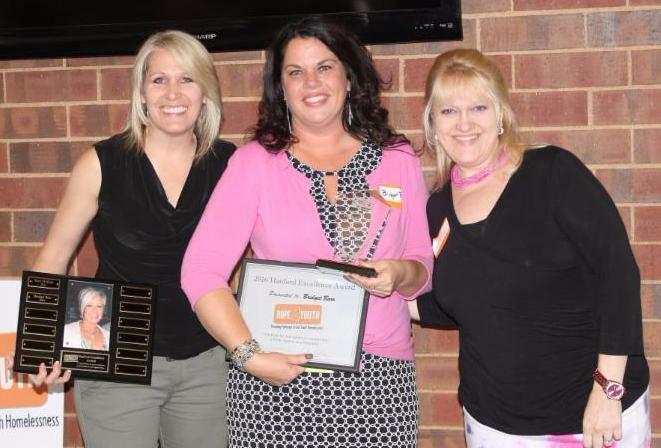 Bridget Barr, HOPE 4 Youth Board Member and Treasurer, received this year’s Hanford of Excellence Award. Bridget was honored with the award because of her unwavering passion for HOPE 4 Youth especially through the tough times, the chaos and even the heartache; always with a big smile on her face, and usually some fabulous jewelry! Anyone who has the privilege of knowing her - loves, respects, and deeply appreciates her. Thank you Bridget for everything you continue to do! HOPE 4 Youth's partnership with ACBC Food Shelf was developed to provide access to nutritious food options - fresh fruits and vegetables, dairy products, meats, bakery items, etc. - for our youth. On the first Saturday of every month, the youth are able to shop for a three-day supply of food based on the size of their family. ACBC has provided training to HOPE 4 Youth staff and volunteers as well a staff time in order for the youth to "shop their food shelf on a day that they are typically closed. On the flip side, HOPE 4 Youth has been able to give back to ACBC by sharing our generous donations of clothing that is not youth appropriate as well as introducing our volunteers to their important work. We are thankful for this opportunity and as word spreads to the youth in the community our visit numbers have steadily increased each month we have been open. 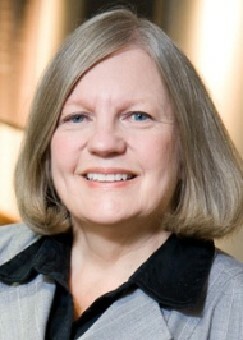 Jan Anderson first became involved with HOPE 4 Youth in 2013 when she heard founder Brian Swanson speak about it at a meeting. She wondered how the problem of youth homelessness could be so prevalent and yet so little was being done. Jan immediately wanted to help and felt that she could best do so by using her voice; she has been involved ever since with Lil’ Bit of Hope. As the last member of Lil’ Bit of Hope, it is Jan’s job to fill the perishable needs at the Drop-In Center on a weekly basis; helping to provide the young people with healthy food to fill their stomachs. Jan does so much more, if you’ve heard about HOPE 4 Youth at your church or civic organization then you’ve probably met Jan. She loves speaking about HOPE 4 Youth with the hope of bringing in donations, whether in-kind or monetary. The best reward for Jan, however, is the reactions from her audience as she shares about a young person who found their first job, finished school or secured their first apartment. Jan is looking forward to her next task – Wall of Hope. She will be speaking about the Wall of HOPE, a giving opportunity that allows every size contribution to count, to raise funds for HOPE Place, HOPE 4 Youth’s transitional living facility. 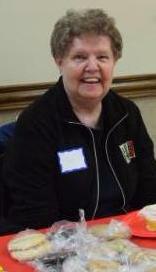 If your church is interested, Jan wants you to know that she would be happy to talk to you about it. 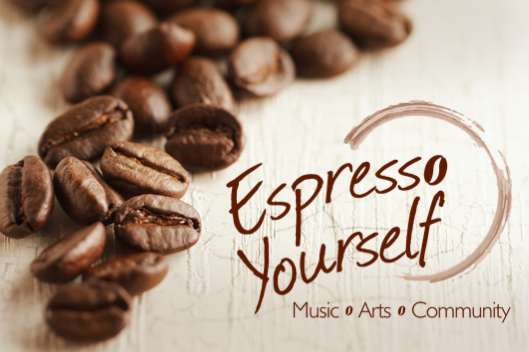 HOPE 4 Youth thanks Chain of Lakes Church for hosting their last Espresso Yourself Coffee House, of the season, as a fundraiser for us. They put together an amazing silent auction and hung the first Wall of Hope, making it easy for people to give. Altogether, they raised more than $4,000 in just one night. With partners like Chain of Lakes Church, HOPE 4 Youth is able to keep our doors open and continue to grow and meet the needs of homeless youth in our community. HOPE 4 Youth Staff and volunteers will be tabling to raise awareness of HOPE 4 Youth as well as introducing our 48 Hour Challenge. Aug. 15 at 12:30 p.m.
Sept. 30 at 9:30 and 10:30 p.m.; participants choose their wave. Oct. 8 at 5:30 p.m. The Gala 4 HOPE is an annual fundraiser benefiting HOPE 4 Youth. To purchase a ticket, sponsor a table and/or make a donation, contact the Gala Committee at 763.232.2940.